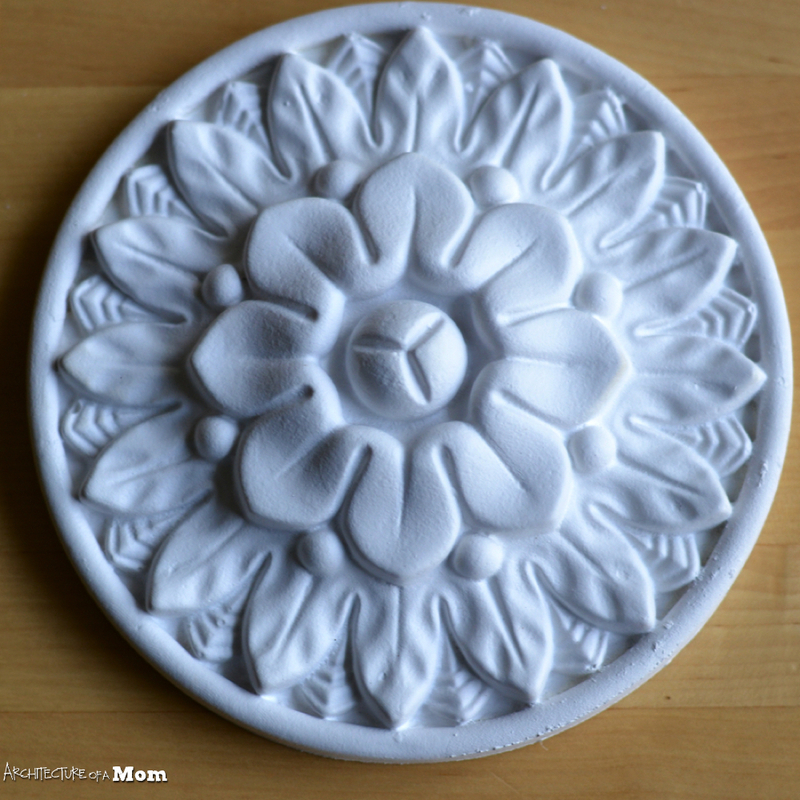 Architecture of a Mom: Faux Metal Medallion - Easy Decor Idea! 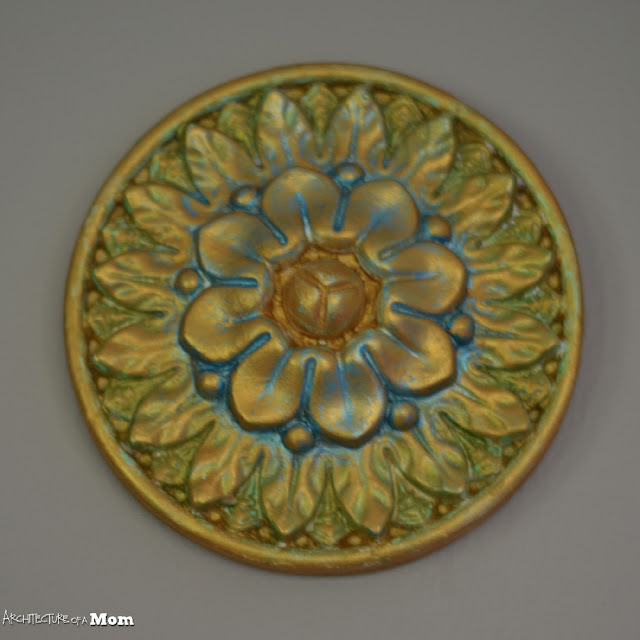 Faux Metal Medallion - Easy Decor Idea! I've had this idea shaking around in my head for some time, and I finally got around to doing it!! A while back, I read at Handmade Home how they took medallions and made them into amazing, colorful magnets. I have plenty of magnets after making some last year, but I filed away the idea for future use. And then I realized that my gallery wall wasn't quite done in my living room - there was a place for small piece of art! Perfect! And since I'm adding touched of blue and gold throughout the room, I decided to do the same and make what started out as a plain white medallion into something rich and the perfect addition to my living room wall! 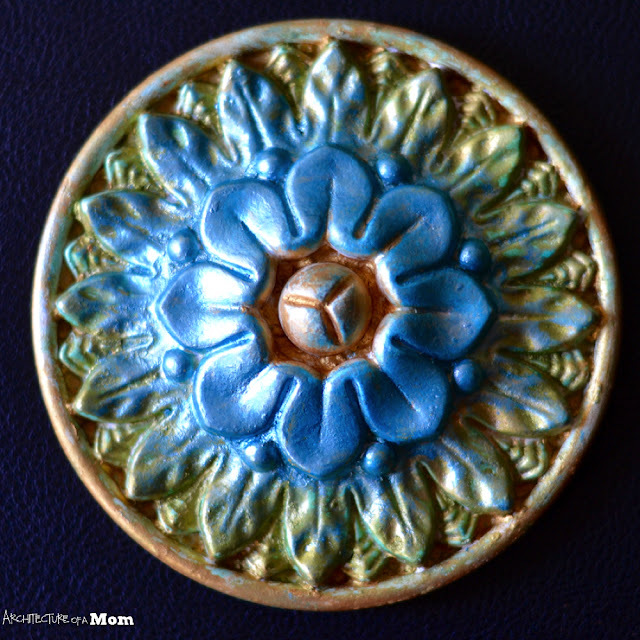 First, apply gold paint in the center, turquoise on the petals, green on the leaves, and gold on the edge band. I just used my fingers and some paper towels. Make sure you get into all the grooves. It doesn't need to be perfect, but try to keep globs of paint from obscuring the design and texture. It will be very bright, and would be good for a kids' room, but wasn't quite the look I was going for. I allowed the paint to dry. Then I applied the gold paint all over, making sure to not push the paint down on into the grooves. Think of this is a dry brush application - you want to just hit the highlights. Go easy - you can always layer more paint onto the medallion if you need to do so. Having other colors under the gold gives a depth you wouldn't have with just one color. Allow to dry, and then polish with a clean paper towel. Apply a command strip picture hanger to the wall and another to the back of the medallion - these hangers are a kind of removable velcro - no holes in my recently painted wall! And that's it! 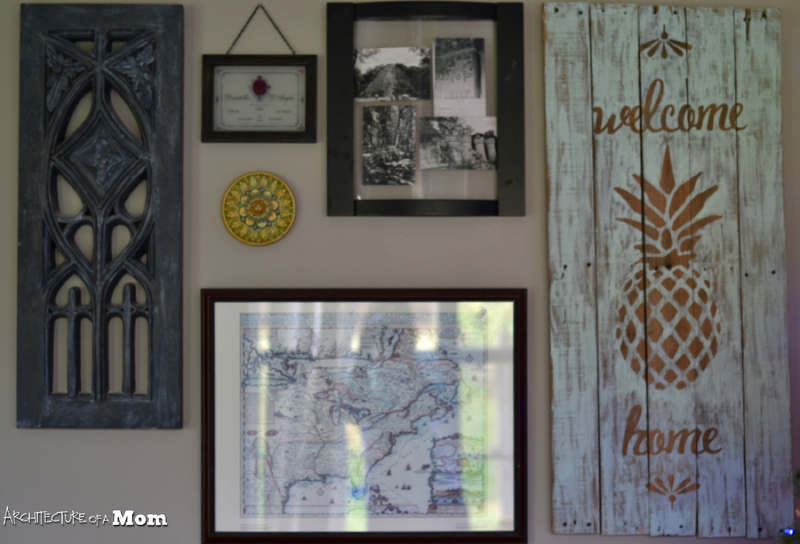 An easy piece of custom decor!